Everyone that needs to lose weight wants to do it the easiest and fastest way. I certainly wanted that as I started my weight loss journey. I sought out every possible means to get rid of the fat other than changing my lifestyle. Where does exercise fit into weight loss? Well, exercise provides many health benefits beyond weight loss but today lets just talk weight loss and exercise. My clients vary in nutrition and weight loss knowledge when they first come to see me, which is to be expected. Most think they can exercise two or three times per week and lose weight, it’s not going to happen unless you have been completely sedentary and obese. If you are obese and sedentary any exercise at this point is going to pick your metabolism up and burn more calories. So, if you are not overeating and moving, an obese person may lose weight while exercise two or three times per week. However, the average overweight or obese person needs activity at least 5 days per week to pump their metabolism up. If they were exercising more and eating healthier they wouldn’t need to lose the weight! I promise, if you exercise for a minimum of 60 minutes per day, 5 days every week and eat within your calorie budget YOU WILL LOSE WEIGHT! You see, while really healthy foods provide the nutrition needed to turn fat into energy, the exercise is the fire to consume the fat. It takes both to maximize the fat lose. If you are just beginning to exercise take it slow and get your doctors approval before starting any exercise program. If you want to lose weight you need to exercise for a minimum of 1 hour at least 5 days per week. You might be able to do it with less exercise time but the approach I recommend will maximize your weight loss. You may hear that you can do high intensity or interval exercise for 20 minutes 3 times per week and lose weight. If you are moderately overweight and in good physical health, yes it can work. However, once you get down to the last 30 pounds and you have exercised for a while and are fit, then high intensity-interval (anaerobic) training along with aerobic and muscle-building exercise is needed to remove the remaining, unnecessary fat. Exercising multiple times per day is very beneficial. Three 20 minute walks will keep your metabolism going longer than walking for one hour. Vary your exercise intensity. If walking, take 30 seconds and walk at a faster pace, then walk at your normal pace for a few minutes, then repeat throughout the walk. This also applies to any exercise type such as bicycling or running. 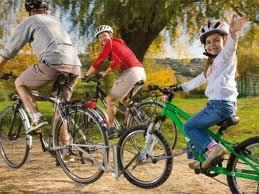 You can also increase your intensity by selecting routes that have hills for you to walk, run or bike on. Do different types of exercise at different times. Our body adapts to our routines very quickly and will become very efficient. Keep your body guessing by doing your exercise at different times or do a different type of exercise. To maximize your weight loss you need to engage in aerobic, anaerobic and muscle-building and toning exercises. Many people are turning to cross fit exercise programs. Cross fit includes a variety of exercises that promote a broader range of fitness and reduce the risk of injury from exercise. My favorite exercise is bicycling. You can make bicycling as intense or as leisurely as you want. It is the perfect exercise (my opinion) because it is very low impact on the joints, can provide aerobic, anaerobic and strength training all in one session. It can be done every day. And it is fun with friends and family! Exercise can be so fun that you can over do it. Pace yourself, drink adequate fluids with electrolytes and get plenty of rest in between exercise activities. All exercise is good exercise. Do different exercises and make them fun and enjoyable. Water is by far the nutrient most needed by the body. 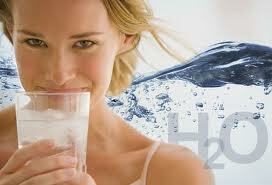 Water is in the make up of every cell, tissue, and organ in the body. Water is responsible for about 60% of body weight. Even the bones and teeth are a percentage of water. The majority of our muscles (about 75%) are made up of water. Okay, so we now know our body is mostly water what’s the big deal. The big deal is that every task our body performs requires water. Water is a transporter of nutrients, helps remove waste and toxins, carries messages to our brain, hormones throughout our body, water also helps our body regulate body temperature and it also acts as a cushion around our spinal cord and joints. 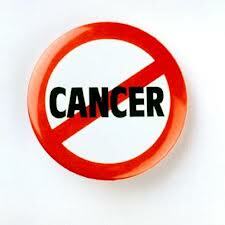 Some other research also shows that drinking plenty of water may protect against some cancers in men and women. It may also help prevent kidney stones by keeping the kidneys flushed and functioning properly. So just maybe water is an extremely vital part of our bodily functions right. You say well I don’t think I drink enough, does that mean you’re going to fall over and shrivel up? No, not necessarily shrivel up and wilt away, but on the serious side you can become dehydrated if you do not drink enough water. How do you get enough water? What is dehydration and why so dangerous? You say you don’t like water it’s too plain. Good questions and I will get to that in just a moment. You now know it’s important to stay hydrated so your body can function properly and do its job efficiently, which is to keep you alive! Okay, so you need water to function and live, but you say if you drink so much water you’ll live in the bathroom. Not 100% true. Your body loses water everyday just by normal processes that occur within (also known as metabolic activities). Some of these activities are, breathing, sweating, and some are also lost in the feces. This doesn’t include if you are physically active and like to work out, or you live in a humid area. Your body has to adjust its internal thermostat, which causes a loss of water too. So, needless to say the intake of fluids needs to balance the output of fluids. Did your mom ever tell you as a child, if you borrow something you need to put it back when you’re finished? Or maybe, if you use up the last of something you need to replace it? That’s an easy way to look at balancing what you lose in water. It needs to be replaced. The input vs. output of water requires functioning kidneys and an adequate intake of fluids. Functioning kidneys? What’s that have to do with anything? Well, simply put, kidneys remove waste pass it on down to the bladder. Then when it’s time for the waste to exit the body your kidneys send a message to your bladder (through a process that involves water) and it exits by a well-known process called urinating, also known as going pee. An easy way to tell that you get enough fluids is by the color of your urine. If it’s very light in color almost clear, that means you’re getting an adequate intake of fluids, however if it is dark yellow, has a mild odor, try drinking more. If it has an extremely dark color almost brown or it is brown, and a strong odor, you just might want to go see a doctor, pretty quickly like as of yesterday. That may be an indication dehydration has set in, which can cause your kidneys to come to a halt among other life threatening symptoms if not treated right away. Okay now that I have scared you a little, let’s get back to the fun stuff. So, other than the color of you urine, is there another way to tell if you’re getting enough water? What about being thirsty? Shouldn’t that be enough of an indication you need water? I say, nope, not at all. Thirst is what leads a person to get a drink, and thirst can also influence on how much we drink. However, being thirsty doesn’t let us know how much our body actually needs and is lacking. Being thirsty is a mild symptom of dehydration. Some others include dry mouth, dry skin, and mild headaches. Did you know water is the most important source of energy in our body? When there is a loss of water or dehydration sets in that loss can greatly affect your performance and energy levels. Minor lesson for you, your cells get energy from activities that enzymes carry out. These enzymes are fueled by good ole’ h2o. When you lose even the tiniest amount of fluid your body can feel a sever drop in energy. Lets just say we don’t lose a “small” amount, it’s a pretty big actually. Normal metabolic functions (breathing, urinating, and so on) cost us about 2 liters of water a day. That’s big! Just by a 1-2% loss of body weight in water can cause fatigue, weakness, and even a loss of appetite. And lets face it, those few things can cause us to be late to work, moody, and prevent us from performing at our highest ability. Now, back to your questions. What is dehydration? Dehydration happens when the body loses too much or isn’t getting enough water. A couple of the most common causes of dehydration are from diarrhea and vomiting. Water isn’t replaced quick enough for the excess amount its losing. Easy preventions for dehydration include drinking the daily recommended 6-10 glasses of water and eating foods that contain water as well. An easy formula to remember is take your weight in pounds, divide that by two, and that is how many ounces of water you should drink for your body weight. This does not mean to guzzle your entire recommended amount all at once. The body can only absorb so much at one time. If you chug a whole glass of water, your body will take in what it needs at that moment and spit out the rest, which means unnecessary trips to the bathroom. A helpful suggestion to get the most out of your water intake is to drink it in small amounts throughout the day. Another suggestion is to try drinking a half a cup every half hour spread out over the first 12 hours you’re awake (dependent upon how much water you actually need), and well before bedtime your body can be fully hydrated. Which means cutting out those annoying 4am bathroom calls. You say it doesn’t taste good, well there other ways to flavor it up or to get water into your body without chugging a bottle full. Foods contain water. Some foods such a fruit contain a high percentage of water. Like watermelon, strawberries, apples or grapes? Those are just a few to name. Snack on some of those throughout the day or add them to your meal plans. Another way to flavor your dull water is try adding frozen fruits like blue berries or kiwi to give it flavor. Make some homemade lemonade and WA-la, you have found a way to disguise that water! The short lesson here is to get plenty of fluids, because your body requires water to do every little and big task. Most importantly if you don’t get enough it can be life threatening. Drink to Life! water that is! Kim is a WebND staff member and is really into nutrition. Kim is currently studying and working towards certifications in Nutrition.